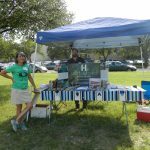 Thank you to everyone who came out to this year’s Texas Archeology Month Fair this past weekend! 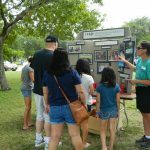 What an event it was– 68 volunteers representing at least 18 local agencies and groups led activities for more than 400 visitors! 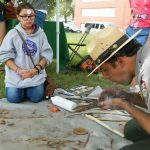 The beautiful weather made it a perfect day to get outside and learn about archeology from the experts. 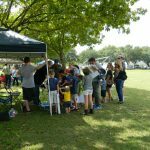 We are so grateful to all our volunteers, to the donors who helped make this event possible, and to our community for being so supportive of this kind of outreach! 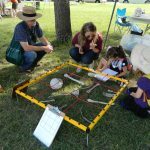 Thank you to all who shared your expertise and your love of archeology to help inspire the next generation of archeologists. Here are some of our favorite photos from this year’s Fair. See y’all next year! 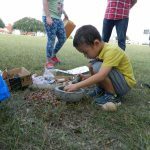 Texas State’s Forensic Anthropology team shows these young researchers how to document their finds. 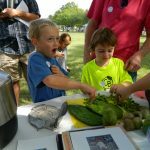 This little researcher enjoyed processing local food plants. 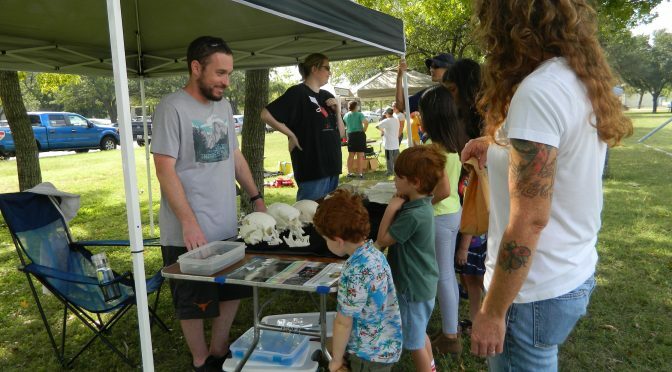 UT’s eAnthro Projects’ 3D imaging and prints were a big hit. Future archeologists dug carefully to find artifacts! 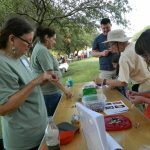 TARL’s Jean and Rosario help visitors make beaded jewelry. Ranger Jack demonstrated fire drilling. 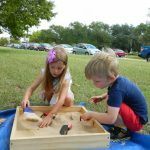 Marie talks about all the ways families can get involved with archeology and the Texas Archeological Society. These guys were surprised to see how sharp a stone tool can be! 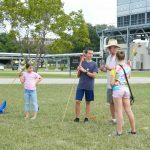 Robin explains how to throw a dart using atlatls. 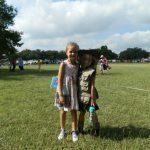 These two are ready for the field! TxDOT’s Scott demonstrates how to do archeological survey and find features. 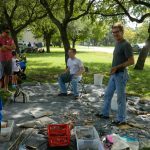 Robert and Chris demonstrate flintknapping, or stone tool production. 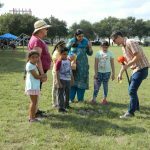 AmaTerra Environmental unveiled their Headwaters of the Comal project, an archeological investigation in New Braunfels with a public component. 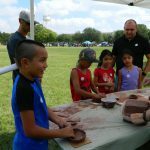 Visitors made pinch pots just like prehistoric Texans. 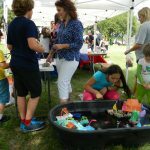 The Texas Historical Commission’s Marine Archeology Division showed how to make boats float.